3. Stealth Cam DS4K: This new trail-camera is capable of taking images at 30 megapixels; yes, you read that correctly, 30 megapixels! With an image that size, you can create a mural with your favorite image on your living room wall. Additionally, the DS4K records 4K video. Add that to a long list of other capabilities, and this camera is worth trying out–it may become your new favorite. With a creative marketing strategy and an unprecedented sales effort—Stealth Cam catapulted a product once priced out of reach to many, into the mainstream, creating what is widely considered one of the hottest categories in the outdoor industry today. Over the years Stealth Cam has earned multiple awards from top retailers for “first to market” recognition to the industries top new publications being recognized as “Best of the Best”. In 2007 Stealth Cam was featured on the History Channel’s Modern Marvels show. 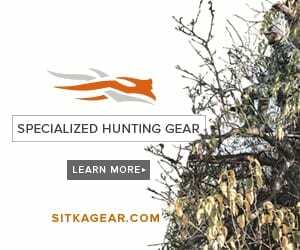 An episode focused on Hunting Technology, which is still aired to this day. As the consumer camera market shifted away from 35mm to digital, Stealth Cam stayed on task by integrating the emerging digital technology into trail cameras. Digital programming was perceived to be complicated. So, In 2004 Stealth Cam answered the call and introduced the Wildview brand. Wildview trail cameras are specifically designed to take the hassle & guesswork out of programming a digital camera by utilizing a simple switch user interface without sacrificing the key features that made Stealth Cam such a valuable tool. Once again, Stealth Cam had redefined the trail camera. To this day, Wildview remains one of the most popular cameras in the market. As the rapid growth of technology escalated in the consumer electronics, Stealth Cam kept its eye on emerging trends and in 2009 introduced the world’s first High Definition trial camera. Capable of shooting stunning full HD video with crisp clear audio, this new Stealth Cam dazzled both with media & consumers alike. As video clips shot by the new HD cameras went viral on such social media sites as Facebook & You Tube, it became clear that Stealth Cam was leading the charge in taking this technology into the future. As the category has evolved so have the demands of the user. In 2010 Stealth Cam introduced the first 3-in-1 trail camera and coined the term TRIAD Technology. TRIAD trail cameras feature the ability to be used in one of three ways. Either as a still image camera, a videocamera or a time lapse camera. Scouting cameras have evolved rapidly over the last several years with more & more users demanding enhanced features from their cameras. In 2010 Stealth Cam introduced TRIAD™ Technology. TRIAD™ enabled Stealth Cams deliver the ultimate in versatility by incorporating three cameras in one; allowing the user to chose from one of three different digital scouting formats. Video: Growing ever more popular, Stealth Cam’s ability to shoot high quality video with audio brings a whole new dimension to scouting by giving the user a true glimpse into the animals behavior and vocalizations. Time Lapse: The option to set the camera to take images at predetermined intervals over a selected time periods (day or night) is the cornerstone behind Stealth Cam’s Time Lapse function. Stealth Cam owns multiple patents on its camera technology and is considered an industry pioneer in the trail camera category. For more information, visit http://www.gsmoutdoors.com/stealth-cam/.